It’s amazing how the world opens up for the backcountry pilot. One of our favorite playgrounds is Utah. Flying in the Canyon Country is an entirely different experience from Idaho. The landscape has a unique beauty and the sensation of flying in canyons, with perfectly vertical walls, seems immediate and intimate. Like Idaho, a number of great camping opportunities are available. Pictured below is the airstrip at Mexican Mountain, located along the San Rafael River. A handful of campsites offer shade amongst the trees and it’s just a short hike to nearby petroglyphs. 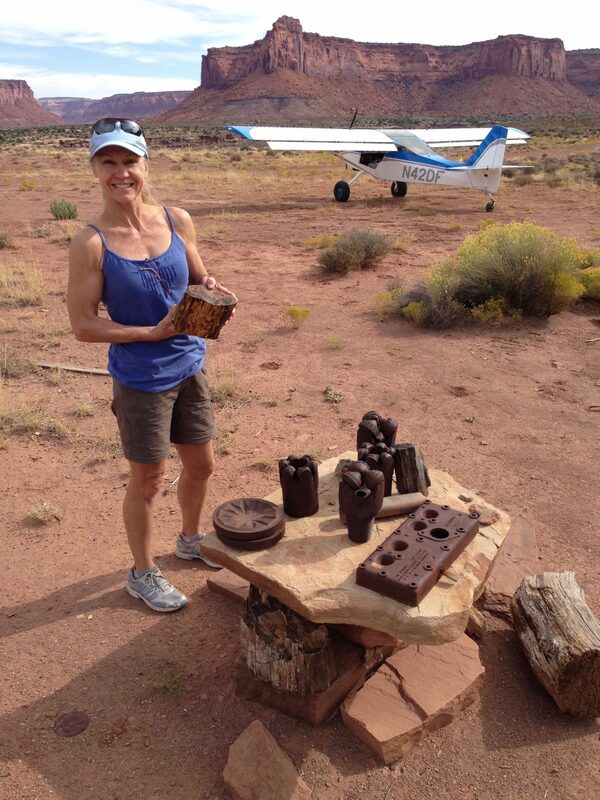 Our featured image in this post shows Dianna enjoying another beautiful spot. Happy Canyon offers the opportunity for a day long canyoneering adventure. The sunsets here are unbelievable. Pitch you tent near an old miner’s shack and camp beneath a star filled sky. 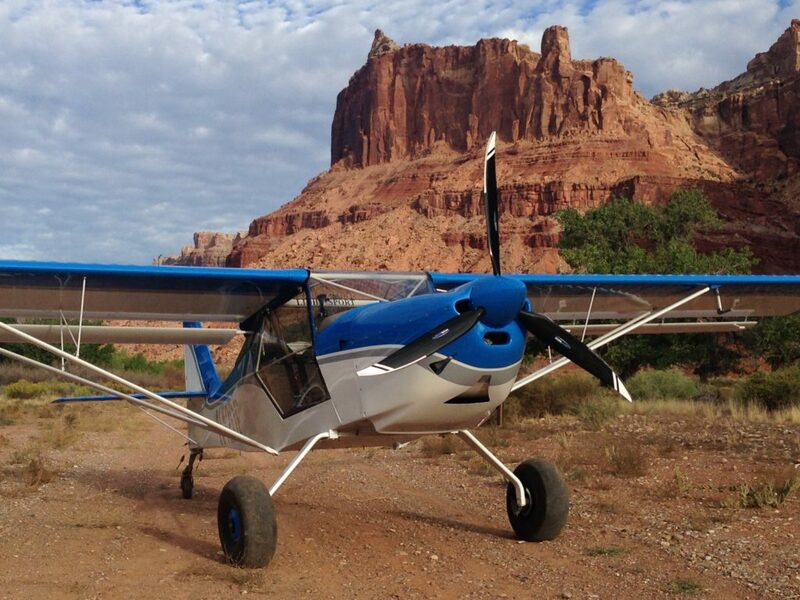 Two organizations, the Recreational Aviation Foundation and the Utah Backcountry Pilots Association have worked had to keep Utah’s backcountry airstrips accessible. Members from both organizations have built shelters, cleaned up campsites and worked by hand to keep the airstrips in good shape. We urge you to join and support their efforts.